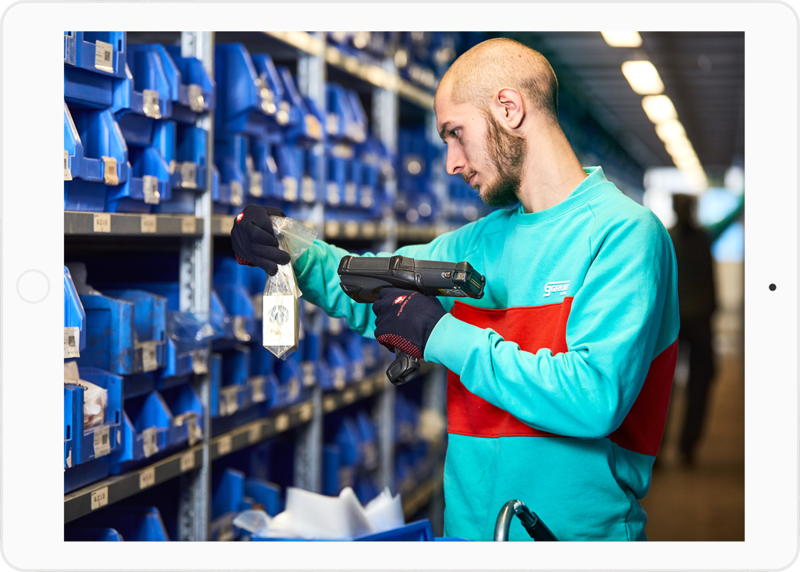 IT - Digital solutions - GRUBER Logistics S.p.A.
We have embraced innovation and digitalisation as part of a precise corporate strategy. With the aim of streamlining transport management processes and optimising the relationship with our customers and suppliers, we have developed in-house a unique and personalised corporate IT system, as well as a series of digital products designed ad-hoc to meet the needs of our customers. Our IT department, made up of analysts, technicians and developers, works every day to enable the continuous development of the company’s IT system. Our IT solutions include, in addition to the classic digital products such as a centralised CRM, TMS (Transportation Management System) and tools for automatic measurement of service performance, also many specific services aimed at the constant optimisation of processes and resources throughout the logistics chain. It is a mobile and tablet app dedicated entirely to GRUBER Logistics drivers. 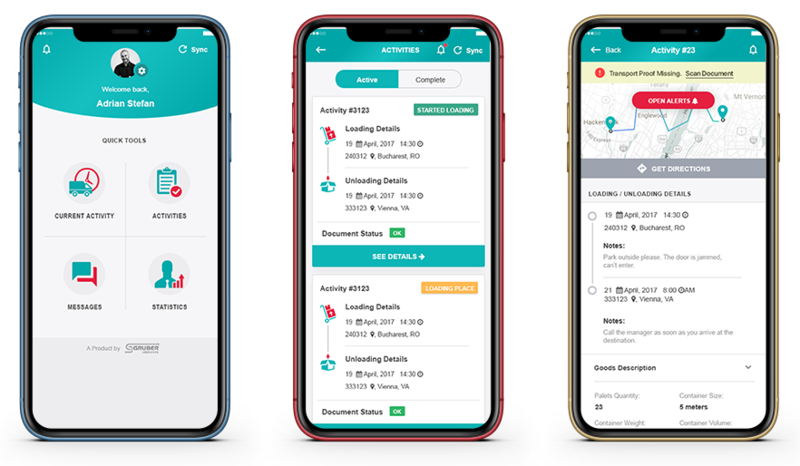 Our DriverApp is equipped with a geolocation system for vehicle tracking, and allows drivers to communicate with our dispatchers, easily manage transport orders, as well as loading and unloading procedures. It is a digital platform that helps our customers simplify and optimize freight management processes by improving their transparency, accuracy and efficiency. Thanks to its customizable interface, the platform provides access to transport documents, historical records, order statuses, payment information and even photos of the delivery. In addition, it allows you to track the location of the delivery in real time. With Gruber Beyond MyDesk, you can now manage your orders with just one click, in total transparency. This service, developed by our IT experts, is aimed at the optimisation of warehouse logistics flows throughout the supply chain. 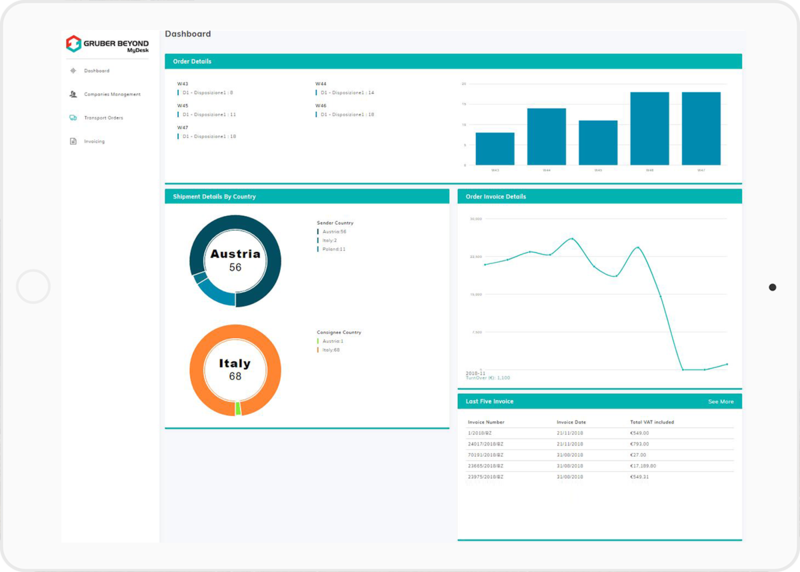 The perfect integration of our WMS system with customer management tools enables our IT department to develop innovative solutions, always tailored to the customers’ needs. This system enables the communication with customers, carriers and suppliers who use different IT systems, while ensuring full information transparency and constant data flow. The EDI technology facilitates the electronic exchange of orders, invoices, transport documents, price lists and much more.